OKLAHOMA CITY – Nominations are now open for the 2017 Sunbeam Family Services Aspire Award and will be accepted through Nov. 5 at 5 p.m.
To be selected for this prestigious award, the recipient must contribute remarkable community or humanitarian service that has made a difference to the well-being of children, families or seniors; have a positive impact on the community and model a life that others “aspire” to; and currently or previously support the work of Sunbeam Family Services through time or financial contributions OR life’s work mirrors the mission of Sunbeam Family Services. The nominee cannot be a current Sunbeam Family Services board member. Nominations can be made online at www.sunbeamfamilyservices.org under the “Aspire Award Nominations” tab. Or visit www.AspireAwardOKC.org to submit your nomination. Last year’s winner was the late Sandy Trudgeon, a longtime Sunbeam supporter, who served three board terms from 2005-2014. She helped to lead the organization’s Centennial Celebration, OKC Educare’s groundbreaking and dedication and the New Home Forever Family Capital Campaign. Her impact also touched community organizations such as Lyric Theatre, Heritage Hall, and Harn Homestead. Winners are selected by a committee based on their level of service to the community, alignment with the mission of Sunbeam Family Services, and their impact on children, families or senior citizens. The Aspire Award will be presented at the 2017 Shine a Light fundraising gala in April. Tickets to the gala may be purchased for $150 each. To purchase tickets, learn more about the event or sponsor a table, contact Sunbeam Family Services Director of Development Katherine Craig at 405.609.8994 or email kcraig@sunbeamfamilyservices.org. 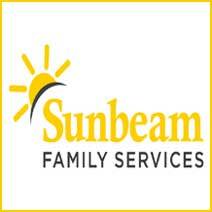 Founded in 1907, Sunbeam Family Services is one of Oklahoma’s longest serving nonprofits, providing help, hope and the opportunity to succeed to people of all ages and all stages of life in central Oklahoma through early childhood, counseling, foster care and senior services. To learn more, visit www.sunbeamfamilyservices.org or follow them on Facebook, Twitter and Instagram.